The IEEE Solid-State Circuits Society Awards Committee has granted Burak Gönen a Predoctoral Achievement Award for 2018-19. For a small number of promising graduate students, the award provides a $1000 honorarium and reimbursement for travel expenses to ISSCC, the Society's flagship conference. Awards are made on the basis of academic record and promise, quality of publications, and a graduate study program well matched to the charter of SSCS. NWO (the Netherlands Organisation for Scientific Research) has announced the new research programmes that will be part of its ‘Perspective for Top Sectors' funding programme. One of the programmes that will be funded is the ULTRA-X-TREME programme, in which new ultrasound techniques will be developed for improved diagnosis of dangerous vascular problems. Michiel Pertijs' Ultrasound ASICs group at the Electronic Instrumentation Laboratory will be responsible for the development of advanced integrated electronics for the high-frame-rate 3D ultrasound probes that will play a key role in this programme. The ULTRA-X-TREME programme will develop new, highly accurate ultrasound techniques to enable 3D imaging of the arterial walls and blood flow. New transducers, contrast media and analysis techniques will be developed in order to determine much more effectively whether treatment is necessary. The ULTRA-X-TREME consortium brings together the best Dutch research groups in the field of ultrasound technology and the biomechanics of blood vessels with hospitals and international industry. Within this programme, Michiel Pertijs will work together with Nico de Jong and Martin Verweij (Imaging Physics, Fac. of Applied Sciences) and Hans Bosch (Erasmus MC) on the development of a unique matrix transducer with more than 20,000 elements and integrated electronics, for making 3D echo images with a high volume frame rate. to be featured on the cover of the October 2018 issue. This paper is the result of a collaboration on intravascular ultrasound imaging between the Ultrasound ASICs group at the Electronic Instrumentation Lab, the Thoraxcenter at Erasmus MC, and the Laboratory of Acoustical Wavefield Imaging at the Faculty of Applied Sciences, Delft University of Technology. Forward-looking intravascular ultrasound (FL-IVUS) holds rich potential for guidance of complex vascular interventions, such as recanalization of coronary chronic total occlusions. The realization of FL-IVUS devices is fraught with technical challenges, as a high-resolution volumetric image needs to be created from a small (< 1.5 mm) aperture with scant space for cabling and electronics. In this issue of the Transactions, we present an innovative concept for an FL-IVUS matrix array, consisting of 16 transmit (yellow) and 64 receive elements (red), addressed by only four cables. A dedicated front-end ASIC performs element addressing and received signal amplification. The realized configuration produces a narrow pulse-echo beam profile with sidelobes below −20 dB. 3-D synthetic aperture imaging (bottom) at a volume rate of 100 Hz is feasible. At the 2018 IEEE Ultrasonics Symposium (IUS) - the world’s premier conference on ultrasound research held in Kobe, Japan, in October - the Ultrasound ASICs group presented six papers covering various aspects of our work on integrated circuits for smart ultrasound applications. Douwe van Willigen presented two papers at IUS. The first, entitled “ASIC design for a single-cable 64-element ultrasound probe”, was nominated for the Best Student Paper Competition (top 3.5% of the student paper submissions). In this paper, we present an ASIC (Application-Specific Integrated Circuit) that interfaces 64 piezoelectric elements directly integrated on top of the ASIC to an imaging system using a single micro-coaxial cable. This innovative design allows a single-element transducer to be replaced by a transducer array, while using the same cable, making it a promising solution for 3D imaging with size-constrained probes. This work is part of our work on intra-vascular ultrasound , a collaboration with the Acoustical Wavefield Imaging Lab (Faculty of Applied Sciences, Delft University of Technology) and the Thoraxcenter, Erasmus MC, Rotterdam. A second paper authored by Douwe, “Minimizing the zero-flow error in transit time ultrasonic flow meters”, presents results of our FLOW+ project, analysing the effect of driver- and readout electronics on the zero-flow error in transit-time ultrasonic flow meters. Another paper that links to the same FLOW+ research project, entitled “Feasibility of ultrasound flow measurements via non-linear wave propagation,” was presented by Jack Massaad. This paper demonstrates the feasibility of using non-linear wave propagation to improve the precision of flow measurements using ultrasound. Zhao Chen presented a paper entitled “A Power-Efficient Transmit Beamformer ASIC for 3-D Catheter-Based/ Endoscopic Probes”, which presents an innovative approach to reduce the power consumption of integrated high-voltage pulsers in miniature ultrasound probes. Zhao also presented a paper entitled “A quantitative study on the impact of bit errors on image quality in ultrasound probes with in-probe digitization”, in which we investigate an import question associated with the next-generation of digital ultrasound probes: if you digitize the echo signals in the probe, what are then the bit-error requirements on the digital datalink used to send the echo signals to an imaging system? We’ve found that very high bit-error rates can be tolerated without significant impact on image quality, opening the door to the use of simple and power-efficient datalink solutions. Finally, Mehdi Soozande presented a paper entitled “Virtually Extended Array imaging improves lateral resolution in high frame rate volumetric imaging,” in which we describe a high-frame-rate transmission scheme which outperforms alternative methods in lateral resolution, targeting catheter-based 3D imaging applications. The Department of Microelectronics has a strong interdisciplinary research and education programme in the areas of 1. health and well-being, 2. autonomous systems, 3. next generation wireless and sensing technology and 4. safety and security. The Section Bioelectronics is a relatively new section that has been created to address coherently the challenges we face in developing bioelectronic medicine and electroceuticals. The group conducts research, education and valorisation in the fields of circuits and systems for active wearable, implantable and injectable biomedical diagnostic, monitoring and therapeutic microsystems. The group is active in the domains of biosignal acquisition, conditioning and detection, electrical stimulation, transcutaneous wireless communication and power transfer, energy harvesting, bioinspired circuits and systems, CMOS diagnostic systems, flexible implants and microsystem integration. The Bioelectronics group is offering a tenure-track position at the Assistant or Associate Professor level in the field of biomedical circuits and systems. You will further develop existing research topics, such as mixed-mode and digital circuits and systems for active wearable and implantable medical devices and create new topics, which may include bioelectronic medicine. You will be involved in teaching at the BSc and MSc levels in the TU Delft's Electrical Engineering and Biomedical Engineering programmes and the Leiden-Delft-Erasmus Technical Medicine programme. Collaborative initiatives are strongly encouraged. You are expected to write research proposals for national and international funding organisations. This is a tenure-track position for a period of five years with the possibility of a permanent faculty position at the end of the contract, subject to mutual agreement. You must have a PhD degree in the field of biomedical circuits and systems (BioCAS) and some years of experience as a post-doc or university professor. You have an excellent academic track record, reflected by peer-reviewed journal publications, conference contributions, and international research experience. An affinity for working on the interface with other disciplines (biomedical engineering, neuroscience, electrophysiology, biomedical signal processing, etc.) and with clinicians and medical researchers is preferred. You should have a demonstrated ability to initiate and direct research projects and to obtain external funding. Experience in teaching and mentoring of students is required. A teaching qualification is recommended. Demonstrated ability in written and spoken English is required. At the start of the tenure track you will be appointed as Assistant Professor for the duration of six years. Section leader, department leaders and you will agree upon expected performance and (soft) skills. You will receive formal feedback on performance and skills during annual assessment meetings and the mid-term evaluation. If the performance and skills are evaluated positively at the end of the tenure track, you will be appointed in a permanent Assistant Professor position. For information about this vacancy, you can contact Prof. Wouter Serdijn, email: W.A.Serdijn@tudelft.nl. To apply, please submit by email a detailed CV that includes a list of publications, contact information of at least three scientists whom we can contact for letters of recommendation, and a research and teaching statement along with a letter of application by November 30, 2018 to: hr-eemcs@tudelft.nl. When applying please mention vacancy number EWI2018-28. On 17 September 2018 Prof. Kofi Makinwa was inaugurated as KNAW (The Royal Netherlands Academy of Arts and Sciences) Member. KNAW Members are selected for their scientific and scholarly achievements. The 21 new Dutch KNEW Members were installed during a festive ceremony at the The Amsterdam Public Library, central branche. Professor Kofi Makinwa builds sensors based on chip technology. One of his achievements is a wind sensor without moving parts. Sensors form the connection between the real world and computers. ‘My field involves designing smart sensors: microchips that combine sensors and signal processing,’ explains the TU Delft Professor of Microelectronics. ‘I build chips that can ‘feel’ their environment, as it were, that can process this information and subsequently transfer it to a computer, all in one. Chip technology means that we can produce them very cheaply. Tyre pressure sensors in cars are one example of such a sensor. They measure the pressure in a rotating tyre and communicate the information wirelessly to the dashboard. Or the temperature sensors that can be found everywhere nowadays: in your smartphone, your car, your household appliances. Sensors that I developed at TU Delft are now in production at companies including SiTime, AMS and NXP, and are being used in Apple’s latest gadgets, for example’. Students appreciate Makinwa's enthusiasm and involvement. Thanks to Makinwa's contacts with the industry, they can often convert their designs into real prototypes. Makinwa was previously a member of the Young Academy of the KNAW and invented a cheap weather station for developing countries. For the third year, the IEEE SSCS Benelux Chapter organized a Chip Design Contest for MSc and PhD students in the Benelux. This year, the second prize was won by Zhao Chen, for his contribution “A Front-End ASIC with Integrated Subarray Beamforming ADCs for Miniature 3D Ultrasound Probes”. Zhao received the award at the 2018 SSCS Benelux Chip Design Workshop, which was held at the University of Leuven on May 22, 2018. More details on Zhao’s award-winning work can be found in the following paper: C. Chen, Z. Chen, D. Bera, E. Noothout, Z. Y. Chang, M. Tan, H. J. Vos, J. G. Bosch, M. D. Verweij, N. de Jong, and M. A. P. Pertijs, “A 0.91mW/element pitch-matched front-end ASIC with integrated subarray beamforming ADC for miniature 3D ultrasound probes,” in Dig. Techn. Papers IEEE International Solid-State Circuits Conference (ISSCC), pp. 186-188, Feb. 2018. The Plantenna programme focuses on the heavily intertwined problems of climate change, pollution and food shortages. In view of the growing world population and increasing urbanisation, these are issues that are set to intensify. A key component of the project will be the development of sensor technology that will collect information within plants about the condition of the crop and its immediate environment. By linking together plants equipped with this technology in networks – an ‘internet of plants’ – the information collected can be used to monitor the climate and weather and increase crop yields through more efficient fertilisation and irrigation. Kofi Makinwa is one of the researchers involved in Plantenna project. Prof. Dr. Kofi Makinwa, Professor Electronic Instrumentation and chair of the Micro Electronic department to the faculty of EEMCS, is selected as a new member of The Royal Dutch Academy of Sciences (KNAW). Members of the KNAW, leading scientists from all disciplines, are chosen on their scientific achievements. The new academy members will be installed in September. Begin oktober gingen ze in het kader van een pilot het asfalt in: slimme sensoren die de temperatuur in het wegdek meten, zodat onder andere veel gerichter en efficiënter tegen gladheid kan worden gestrooid. De innovatie werd mede mogelijk gemaakt door de sectie Bioelectronics binnen de faculteit Elektrotechniek, Wiskunde en Informatica van de TU Delft die zich volgens hoogleraar Wouter Serdijn vooral bezig houdt met…de elektronische behandeling van aandoeningen in het menselijk lichaam. On April 3, 2018, Chao Chen successfully defended his PhD thesis. Chao worked in the Ultrasound ASICs group under guidance of Michiel Pertijs. Chao's thesis, entitled "Front-End ASICs for 3-D Ultrasound: From Beamforming to Digitization", describes the analysis, design and evaluation of front-end application specific integrated circuits (ASICs) for 3-D medical ultrasound imaging, with a focus on the receive electronics. Chao's work was part of the MICA project. From February 11 to 15, the 65th International Solid-State Circuits Conference (ISSCC) will be held in San Francisco. ISSCC, the most prestigious and competitive scientific conference in the field of chip design and sensors, is informally known as the “Chip Olympics.” With ten papers, a forum presentation and a tutorial, TU Delft continues its significant yearly contribution to this prestigious conference. On Thursday 30 November Douwe van Willigen received the best MSc award at the Electronic Instrumentation Laboratory. Four students were nominated for their excellent thesis work: Michele D’Urbino, Douwe van Willigen, Shoubhik Karmakar and Said Hussaini. They presented their work at the Electronic Instrumentation Laboratory and the audience voted for the best student of 2017. Douwe developed a chip that makes it possible to connect 64 small ultrasound transducers to an imaging system using a single coaxial cable. His work enables 3D acoustic imaging from the tip of a catheter and is a step forward in miniaturizing 3D ultrasound probes. After his MSc Douwe continues in Michiel Pertijs’ group as a PhD candidate, working on electronics for ultrasonic flow measurement. At the 2017 Asian Solid-State Circuits Conference (A-SSCC), Michele D'Urbino won the Student Design Contest with the paper "An Element-Matched Band-Pass Delta-Sigma ADC for Ultrasound Imaging". Michele worked in Michiel Pertijs' group at the Electronic Instrumentation Lab and obtained his MSc Degree earlier this year. Michele developed an analog-to-digital converter (ADC) capable of digitizing the signals received by every individual element of a 2D ultrasound transducer array. This is an important step towards the realization of next-generation ultrasound probes with full in-probe digitization of the received echo signals. Michele’s ADC has an record-small element-matched size of 150 μm × 150 μm, which is realized by exploiting each piezo-electric transducer element not only as the signal source, but also as the electro-mechanical loop-filter of a continuous-time band-pass ΔΣ ADC. A-SSCC is a major IEEE Conference on Integrated Circuit Design, and was held in Seoul on Nov. 6-8. At the conference, Michele gave a live demo of his prototype. This work is a collaboration with Oldelft Ultrasound, and was co-authored by Chao Chen, Zhao Chen, Zu-Yao Chang, Jacco Ponte, Boris Lippe and Michiel Pertijs. Kofi nominated for the Huibregtsenprijs 2017! At the 2017 IEEE Ultrasonics Symposium in Washington DC, PhD student Chao Chen has won the Best Student Paper Award. Chao works in Michiel Pertijs’ group at the Electronic Instrumentation Lab on integrated circuits for miniature ultrasound probes, in close collaboration with the Acoustical Wavefield Imaging group at TNW, and the Thoraxcenter at Erasmus MC. Chao’s paper describes a chip that makes it possible to connect 1000’s of small ultrasound transducer elements integrated at the tip of an endoscope or catheter to an imaging system. It represents an important step towards the realization of future miniature 3D ultrasound probes. The International Ultrasonics Symposium is IEEE’s main forum for researchers to present new results and learn about recent advances in medical and industrial ultrasonics. On 14th September 2017, Ph.D. student Junfeng Jiang has won the ESSCIRC 2016 Best Paper Award for his paper "A Hybrid Multi-Path CMOS Magnetic Sensor With 76 ppm/°C Sensitivity Drift". Junfeng works in Kofi Makinwa's group at the Electronic Instrumentation Lab on wide bandwidth magnetic sensors for current measurements. At the 2017 VLSI Symposium, Bahman Yousefzadeh received the 2016 best student paper award! The award was for the design of a CMOS temperature sensor with record-breaking inaccuracy of less than +/-0.06 °C over a wide temperature range (-70 °C to 125 °C). Saleh Heidary and Kofi Makinwa were co-authors, and the work was done in collaboration with NXP Semiconductors. The resulting journal paper can be found in the here. EI Lab hosted the 2nd Chip Design Workshop organized by IEEE Solid-State Circuits Society (SSCS) Benelux Chapter on 23 May 2017. The event was attended by 29 SSCS Benelux Chapter members. The purpose of the workshop was twofold: it brought together the Benelux SSCS members around their common passion for IC design, and the winners of the 2016–2017 Student Chip Design Contest were awarded their prizes. The workshop was opened by Prof. Kofi Makinwa’s welcome. Prof. Filip Tavernier of KU Leuven, representing SSCS Benelux Chapter, then gave a short presentation about the purpose of the workshop and gave the awards to the winners: Burak Gönen (TU Delft), Bert Moons (KU Leuven) and Nicholas Butse (KU Leuven). The winners then gave short talks on the topics of their works including a wide range of applications: ADCs, digital processors, and power converters. These talks were followed by two invited speakers from TU Delft. Klaas Bult’s talk “Design mistakes you’d rather not talk about” summarized the common design mistakes he faced as an expert in the industry. Prof. Fabio Sebastiano’s talk “Cryo-CMOS for Quantum Computing” was on the challenges and the IC design research for quantum computing at TU Delft. The workshop was concluded with a reception where all the attendees found a chance to meet in person. Four papers at VLSI 2017! Members of the EI lab will present four papers at the 2017 VLSI Circuits Symposium in Kyoto, Japan! The papers are about multi-function sensor interfaces, resistor-based temperature sensors, eddy-current displacement sensors and precision amplifiers, respectively. Kofi is the Analog Subcom Chair of ISSCC! Burak wins 1st prize in the SSCS Benelux Chapter's Student Chip Design Contest! Burak Gonen won 1st prize in the Student Chip Design Competition organized by the Benelux Chapter of the IEEE Solid-State Circuits Society (SSCS). He received the award for the design of "A Dynamic Zoom ADC with 109-dB DR for Audio Applications." The ADC, developed in collaboration with NXP, achieves state-ot-the-art performance in terms of both its area and energy efficiency. To recognize the excellence and to promote chip design in Benelux region, the IEEE Solid State Circuits Society Benelux Chapter organized a chip design contest for students. The Award includes 750€ as well as a travel grant up to 1000€ for Advances in Analog Circuit Design Workshop (AACD) or European Solid State Circuits Conference (ESSCIRC). The awards will be given in a workshop at TU Delft in spring 2017 together with the award winners' presentations and other technical talks about chip design research in TU Delft. Kofi's VLSIx webinar on Smart Sensor Design is now on-line! Six talks at ISSCC 2017! Lab members will be responsible for 6 talks at ISSCC 2017! Hui, Sining, Vikram and Bahman will be presenting regular papers (on bridge readout, resistor-based temperature sensors, eddy-current sensors and BJT-based temperature sensors, respectively), Fabio contributed to a paper about Cryo-CMOS, while Kofi has an invited talk on micropower ADCs. From left to right, Dermot, Paul, Said and Kofi at the kick-off meeting of Said's MSc project (on the design of a nanopower capacitive sensor). The Electronic Instrumentation Laboratory congratulates Prof. Marcel Pelgrom with the prestigious Kirchhoff Award 2017. Prof. Pelgrom, who is guest lecturer for our course “Nyquist-Rate Data Converters”, receives this award “for seminal contributions to systematic analysis of random offsets in semiconductor devices and their impact on circuits.” The award will be officially presented to Marcel at the ISSCC in February 2017 in San Francisco. Pelin Ayerden (Department of Microelectronics, Electronic Instrumentation Laborabory), who recently received her PhD degree from TU Delft, has won the best student paper award at SPIE Photonics Europe 2016, Micro-Optics Conference. The conference took place from 3 to 7 April in Brussels, Belgium. In her paper "A highly miniaturized NDIR methane sensor" coauthored by G. de Graaf, P. Enoksson and R. F. Wolffenbuttel, she demonstrated the functionality of a compact gas sensor for methane detection. Since long, the Benelux has a strong expertise in IC design. To recognize this excellence and to promote chip design among the Benelux EE students, the IEEE SSCS Benelux Chapter organizes a yearly chip design contest for students. This year, the third prize was won by Hui Jiang, for his contribution “Ring-Down-Based Readout Circuit for Resonant Sensors”. Hui received the award at the 2016 SSCS Benelux Workshop, which was held at the University of Twente on June 8. More details on Hui’s award-winning work can be found in the following paper: H. Jiang, Z. Y. Chang and M. A. P. Pertijs, “A 30-ppm <80-nJ Ring-Down-Based Readout Circuit for Resonant Sensors,” IEEE Journal of Solid-State Circuits, vol. 51, no. 1, pp. 187-195, Jan. 2016. PhD candidates Bahman and Saleh presented a 60mK-accurate temperature sensor and a 36A integrated current sensing system, respectively, while Kristof (now at NXP) presented an energy-efficient SoC in which a microprocessor and its memory are stacked and so share the same supply current. Chao presented a front-end ASIC with receive sub-array beamforming integrated with a 32 × 32 PZT matrix transducer for 3-D transesophageal echocardiography. 3 papers at VLSI 2015! PhD candidates Bahman and Saleh will be presenting a 60mK-accurate temperature sensor and a 36A integrated current sensing system, respectively, while Kristof (now at NXP) will be presenting an energy-efficient SoC in which a microprocessor and its memory are stacked and so share the same supply current. Burak wins the best poster award of both ICT.OPEN2016 and ProRISC track. The title of the poster is "An Energy Efficient Dynamic Zoom-ADC for Audio Applications". Piscataway, New Jersey, USA, January 2016: Paddy French, Prof, dr. from Delft, The Netherlands has been named an IEEE Fellow. He is being recognized: for contributions to micro-electromechanical devices and systems. The IEEE Grade of Fellow is conferred by the IEEE Board of Directors upon a person with an outstanding record of accomplishments in any of the IEEE fields of interest. The total number selected in any one year cannot exceed one-tenth of one- percent of the total voting membership. IEEE Fellow is the highest grade of membership and is recognized by the technical community as a prestigious honor and an important career achievement. He has been working in the field of sensors since 1982 and has had more than 500 publications in international journals and conferences. He has been active in many journals and conferences over the years. He has been a supporter of IEEE conferences as co-chair of IEEE MEMS and three times programme chair of IEEE Sensors. Piscataway, New Jersey, USA, January 2016: Paddy French, Prof, dr. from Delft, The Netherlands has been named an IEEE Fellow. He is being recognized: for contributions to micro-electromechanical devices and systems. The IEEE Grade of Fellow is conferred by the IEEE Board of Directors upon a person with an outstanding record of accomplishments in any of the IEEE fields of interest. The total number selected in any one year cannot exceed one-tenth of one- percent of the total voting membership. IEEE Fellow is the highest grade of membership and is recognized by the technical community as a prestigious honor and an important career achievement. He has been working in the field of sensors since 1982 and has had more than 500 publications in international journals and conferences. He has been active in many journals and conferences over the years. He has been a supporter of IEEE conferences as co-chair of IEEE MEMS and three times programme chair of IEEE Sensors. Bahman Yousefzadeh has won the 2015 Analog Devices Outstanding Student Award. The award consists of a travel grant that partially covers the costs of attending ISSCC. Saleh wins IEEE SSCS Predoctoral Achievement Award! Saleh Shalmany has won the prestigious IEEE Solid-State Circuits Society Predoctoral Achievement Award! Given to promising graduate students, the award mainly consists of a fully sponsored trip to ISSCC. Wouter Brevet presented a paper about a smart wind sensor at IECON2015 in Yokohama, Japan. The paper, entitled "A 25mW Smart CMOS Wind Sensor with Corner Heaters," received a Best Presentation award. At the 2015 IEEE International Ultrasonics Symposium in Taipei, Taiwan, Chao received the student travel grant, in recognition of his work on the paper "A single-cable PVDF transducer Readout IC for Intravascular Photoacoustic Imaging". Seven talks at ISSCC 2016! Lab members will be presenting 7 talks at ISSCC 2016! PhD candidates Junfeng, Ugur and Burak have regular papers (on wide-band magnetic sensors, tiny temperature sensors and energy-efficient ADCs), while Fabio, Kofi and Albert have invited talks (on frequency references, calibration techniques, temperature sensors and image sensors). Micro-fabricated devices are finding their way to the frontend of medical equipment, where they are the interface between body, or in general living tissue, and machine. They enable better and cheaper diagnostic equipment, they add �eyes and ears� to minimally invasive instruments such as laparoscopic instruments and catheters, they allow for un-obtrusive monitoring of body functions, they add functionality to implants, and they enable the development of better and personalized medicines. Despite their great promise it has been proven difficult to bring these devices out of the laboratory phase into production. One of the reasons is the lack of a suitable fabrication infrastructure. Much more than standard CMOS or MEMS devices, these medical devices rely on the processing of novel materials, especially polymers, in combination with advanced molding, micro-fluidics, and assembly technologies. At the same time these devices have to be fabricated under strict quality control conditions in a certified production environment. In the recently granted ECSEL project �InForMed� a supply chain for the pilot fabrication of these medical devices is organized, which brings together key European technology partners in an integrated infrastructure linking research to pilot and high volume production. The pilot line is hosted by Philips Innovation Services, and open to third party users. Ronald Dekker received his MSc in Electrical Engineering from the Technical University of Eindhoven and his PhD from the Technical University of Delft. He joined Philips Research in 1988 where he worked on the development of RF technologies for mobile communication. Since 2000 his focus shifted to the integration of complex electronic sensor functionality on the tip of the smallest minimal invasive instruments such as catheters and guide-wires. In 2007 he was appointed part time professor at the Technical University of Delft with a focus on Organ-on-Chip devices. He published in leading Journals and conferences and holds in excess of 50 patents. Fabio Sebastiano is now an Assistant Professor! Uit �De Audiciens�, februari 2015: �CI�s (cochleaire implantaten, Red.) volop in ontwikkeling. Het is een traditie, de refereeravond van KNO/Centrum voor Audiologie en Hoorimplantaten (CAHIL) in het LUMC op de tweede donderdag van het jaar. Ook op 8 januari 2015 zit de collegezaal weer vol. Het is dan ook een bijeenkomst waar een aantal disciplines uit de hoorbranche samenkomen. KNO-artsen, audiologen, akoepedisten, audiciens, fabrikanten en anderen luisteren naar voordrachten die inzicht geven in nieuwe ontwikkelingen op audiologisch gebied. Burak wins ProRISC best poster award. PhD student Hui Jiang has been awarded a ISSCC 2015 Student Travel Grant of the IEEE Solid-State Circuits Society. This award is a recognition by the Solid-State Circuits Society of his accomplishments as graduate student to the field of solid-state circuits. At ISSCC 2015, Hui presented a paper entitled “A 30ppm <80nJ Ring-Down-Based Readout Circuit for Resonant Sensors”. Rui presents the world's smallest smart temperature sensor at ISSCC 2016. Rui presents the world's smallest smart temperature sensor at ISSCC 2016. Watch here Rui's presentation. Jan Angevare has won the 2014 Analog Devices Outstanding Student Award. The award consists of a travel grant that partially covers the costs of attending ISSCC. 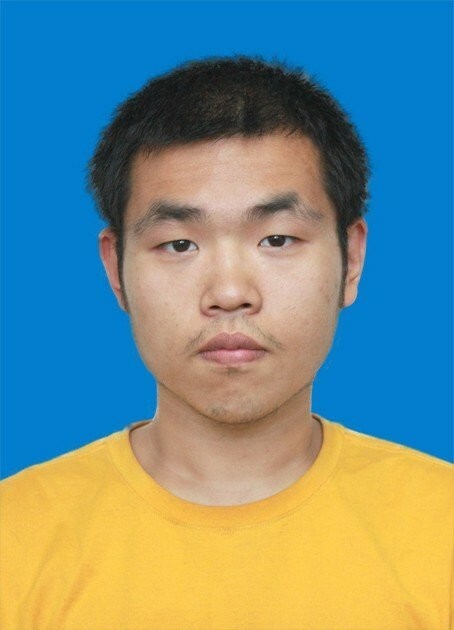 Jiawei Xu wins the IEEE SSCS Predoctoral Achievement Award 2014-2015! Jiawei Xu has won the prestigious IEEE Solid-State Circuits Society Predoctoral Achievement Award 2014-2015! Given to promising graduate students, the award essentially consists of a free trip to ISSCC 2015. Albert Theuwissen, CEO of Harvest Imaging and professor at Delft University of Technology, is the recipient of the European SEMI Award 2014. The Award, which recognizes Theuwissen�s outstanding contribution to the continuing education of engineers, was presented during the SEMICON Europa Executive Summit in Grenoble today. Albert Theuwissen is professor at the Electronics Instrumentation Laboratory of Delft University of Technology. He is a highly regarded specialist in solid-state image sensors and digital imaging. He worked for nearly 20 years at Philips Research and then at DALSA in lead engineering and management roles. In 2001, Theuwissen became a part-time professor at Delft University of Technology. In 1995, he wrote the textbook �Solid-State Imaging with Charge-Coupled Devices� which is now a standard reference work in the field of solid-state imaging. After �retiring� in 2007, Theuwissen founded Harvest Imaging and has played a major role in the continuing education of engineers in the field of solid-state imaging and digital cameras. He has taught and trained over 3,000 engineers at image sensor companies (such as Kodak, Sony, Samsung, Aptina, ST Microelectronics, Micron, Intel, Philips, Canon, DALSA, and Panasonic) and consumer product companies (such as Nokia, Sony-Ericsson, Motorola, Siemens, Research InMotion, Thomson, and many others). In addition, he has conducted short courses at IEEE�s IEDM, ISSCC, ICIP and SPIE�s Electronic Imaging Conference. Solid-state image sensors such as the Charge-Coupled Device (CCD) and CMOS Image Sensor (CIS) are complex electron devices. About one billion image sensor chips are fabricated and sold each year and represent a multi-billion dollar per year IC business segment. Understanding the fabrication and device physics operation of these devices is difficult and is rarely taught in universities at either the undergraduate or graduate level. The European SEMI Award was established more than two decades ago to recognize individuals and teams who made a significant contribution to the European semiconductor and related industries. Prior award recipients hailed from these companies: Infineon, Semilab, Deutsche Solar, STMicroelectronics, IMEC, Fraunhofer Institute, and more. During the STW annual congress, Ugur Sonmez demonstrated the world's smallest TD sensor (8000um2) to attendees. Details about the sensor were presented at ESSCIRC 2015. ISCAS 2014 a big success! Wouter Serdijn (Section Bioelectronics) served as Technical Program Chair for this year's edition of ISCAS. Next year's edition will be held in Lisbon, Portugal. For this edition Wouter Serdijn will change hats and be General Chair. Ugur Sonmez has won the 2013 Analog Devices Outstanding Student Award. The award consists of a travel grant that partially covers the costs of attending ISSCC. Muhammed Bolatkale, Robert Rutten, Lucien Breems and Kofi Makinwa have won the 2011 Journal of Solid-State Circuits (JSSC) best paper award for a paper describing a high-speed continuous-time delta-sigma ADC with a record-breaking bandwidth of 125MHz. The JSSC is the world's foremost journal in the area of integrated circuit design. At the 60th anniversary of the International Solid-State Circuits Conference (ISSCC), Kofi Makinwa was recognized as one of its top ten contributing authors. The ISSCC is the flagship conference of the IEEE Solid-State Circuits Society. Kamran Souri has won the The IEEE Solid-State Circuits Society Predoctoral Achievement Award 2012-2013! Given to promising graduate students, the award essentially consists of a free trip to ISSCC 2013. With 12 regular papers and 1 invited talk, the TU Delft is the top contributor to this year's International Solid-State Circuits conference - popularly known as the chip Olympics. The Precision Analog Group contributed four of these papers. Muhammed Bolatkale, Robert Rutten, Lucien Breems and Kofi Makinwa have won the ISSCC 2011 Jan van Vessem Award for Outstanding European Paper for their work on a high-speed continuous-time delta-sigma ADC in a 45nm CMOS process. The ADC has a bandwidth of 125MHz and operates at a 4GHz sampling frequency. The ISSCC is the world's leading conference on the design of integrated circuits. 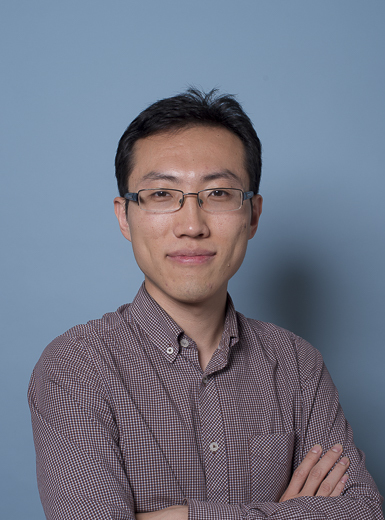 Youngcheol Chae has been awarded a VENI grant by NWO. The Veni grant is awarded to excellent post-doctoral researchers to allow them to develop their ideas for a further three years. Caspar van Vroonhoven and Kofi Makinwa have won a best paper at Transducers 2011 for their work on a temperature sensor based on the well-defined thermal diffusivity of silicon. The sensor achieves an inaccuracy of ±0.6°C over a wide-range (-70°C TO 170°C). Transducers is the world's largest conference on microsensors, microactuators and microsystems. At ISSCC 2011, Caspar van Vroonhoven demonstrated a 250°C-capable temperature sensor based on the relative thermal diffusivities of silicon and silicon dioxide. Kofi Makinwa has become a fellow of the IEEE "for the development of precision analog circuits and integrated sensor systems. IEEE Fellow is one of the most prestigious honors of the IEEE, and is bestowed upon a very limited number of Senior Members who have made outstanding contributions to the electrical and information technologies and sciences"
Mahdi Kashmiri and Kofi Makinwa have won the Young Scientist Award of the 35th European Solid-State Circuits Conference (ESSCIRC 2009) for their work on a digitally-assisted electrothermal frequency-locked loop. This is the first fully integrated implementation of such a loop, which locks the output frequency of an on-chip oscillator to the thermal diffusivity, i.e. the rate of heat diffusion, of bulk silicon. Since bulk silicon is very pure, the spread of the loop's output frequency is less than 1000ppm after a single room-temperature trim. Seven for ISSCC! Research carried out under the supervision of Prof. Kofi Makinwa and in collaboration with NXP and the University of Twente, has led to seven papers at the prestigious International Solid-State Circuits Conference (ISSCC). The papers describe advances in temperature sensors, frequency references, voltage references, precision amplifiers and ultra-low-power radios. TU Delft has appointed Dr. Kofi Makinwa to the post of Antoni van Leeuwenhoek Professor. TU Delft's Antoni van Leeuwenhoek chairs are aimed at promoting young, excellent scientists to professorships at an early age so that they can develop their scientific careers to the full. Caspar van Vroonhoven and Kofi Makinwa have won the ISSCC Jan van Vessem Award for Outstanding European Paper for their work on a new smart sensor which measures the temperature of microchips precisely on the basis of heat diffusion in silicon. The sensor provides a solution for heat management in microprocessors, a function which has become increasingly important thanks to the miniaturisation of the past few years. They previously won an IEEE Sensors 2008 Best Student Paper Award for a similar sensor. The ISSCC is the world's leading conference on the design of integrated circuits. Electroencephalography (EEG) and functional magnetic resonance imaging (fMRI) record a mixture of ongoing neural processes, physiological and non-physiological noise. The pattern of interest is often hidden within this noisy mixture. This talk gives an overview of signal processing and machine learning techniques to address this issue by capturing the spatiotemporal structure in the (multimodal) data. Special attention is given to tensor-based blind source separation techniques, with applications in epilepsy research. This thesis provides a thorough analysis of the linearity characteristics of a CMOS image sensor. Firstly, this thesis analyzes the factors that cause the nonlinearity of the image sensors. These factors are then verified by simulation results of a proposed behavioral model and the measurements in a prototype chip. Secondly, different techniques are presented to improve the linearity of the whole imaging system; and the effectiveness of these techniques is further confirmed by measurement results of several test chips. Organolead halide perovskites have recently emerged as a fascinating light harvesting material that combines the advantages of simple fabrication process and excellent electronic properties. The power conversion efficiency (PCE) of perovskite solar cells (PSCs) has been rapidly improved from 3.8% to 23.3% within the past several years. In contrast to the stunning rise in efficiency, the instability of the PSCs is its Achilles’ heel. The instability issue of the whole device originates not only from the perovskite layer itself, but also from the use of doped organic charge transport materials, such as spiro-MeOTAD. This talk is to provide material strategies to improve the stability of the organolead halide perovskite materials as well as other functional layers in PSCs. To improve the air-stability of perovskite films prepared from two-step sequential deposition by simultaneously eliminating PbI2 residue and improving the crystallinity of the perovskite films. We developed PbI2 thin films with nano-pores and tunable crystal sizes, which enabled full conversion of PbI2 to MAPbI3. A large perovskite crystalline domains, and that the impurity-free, lead to reduced trap states and improved air-stability of the perovskite thin films. The second part of my talk is devoted to improve the stability of the entire PSC device by developing a solution-processed NiOx hole-transport layer, as the hygroscopic nature of the NiOx film suppresses the diffusion of water molecules to the perovskite, and it is also insusceptible to heat. As a result, the PSCs with a structure of FTO / TiO2 / Perovskite / NiOx / Au demonstrated remarkable air-stability and thermal stability. By further modifying of the NiOx / metal interface by CuSCN, we further realized high-efficiency PSCs with excellent air stability, exhibiting nearly no efficiency degradation after exposed to air for 4 months. Furthermore, the ion migration-induced instability issue through incorporating extrinsic alkali cations (i.e., Rb+, K+, Na+, or Li+) into the perovskite. The size-dependent interstitial occupancy of the extrinsic alkali cations in the perovskite lattice was proposed and verified for the first time through density functional theory (DFT) calculations. Such interstitial doping method suppressed I- ion migration in the bulk of perovskites, thus resulting in reduced I-V hysteresis of the PSCs, weakened poling effects and improved photo stability of wide-bandgap mixed-halide perovskites. Wireless data traffic will grow exponentially in the next years, due to the proliferation of user terminals and bandwidth-greedy applications. To address this demand, the next generations of mobile communication (5G and beyond) will have to shift the operation to higher frequencies, especially to millimetre-wave (mmWave) spectrum (30-300 GHz), that can provide extremely high-speed data links. To enable mm-wave wireless communication, mobile terminals such as smartphones will need phased arrays antennas, able to radiate or receive greater power in specific directions that can be dynamically steered electronically. However, to cover the different 5G mm-wave bands simultaneously (28, 39, 60 GHz, …) and to achieve total angular coverage, too many of such antennas should be on the same device: the main bottleneck is the insufficient space available to place all antenna modules. Therefore, I propose to investigate novel phased array antenna solutions with very large angular coverage and ultra-wide frequency bandwidth, to massively reduce the overall space occupation of handset antennas and overcome the current limitations of mobile terminal antenna development. Organs-on-chip are microfluidic systems that enable dynamic tissue co-cultures under physiologically realistic conditions. OOCs are helping innovating the drug screening process and gaining new fundamental insights in human physiology. In this talk, after a summary of my past research journey, I will describe how the ECTM group at TU Delft is envisioning the use microfabrication and materials science to embed real-time sensing and actuation in innovative and scalable OOC platforms. Due to their nm-size features and often unique physical properties nanomaterials, like nanotubes and 2D materials, can potentially outperform classical materials or even provide functionality which cannot be obtained otherwise. Because of this, these nanomaterials hold many promises for the next generation of devices for sensing & communication and health & wellbeing. Unfortunately, many promising applications of nanomaterials never reach sufficient maturity to be implemented in actual products. This is mostly because the interest in the academic community reduces once the initial properties have been demonstrated, while the risk for industrialization is still too high for most companies to start their own R&D activities. My goal is to bridge these two worlds by investigating the integration of novel nanomaterials in semiconductor technology and demonstrating the scalability of novel sensing devices. In this talk, I will give examples on how carbon nanotubes, graphene and other emerging nanomaterials can be used in the next generation of sensing devices. The read noise of CMOS image sensors has been reduced by a factor 10 in the last 15 years. As a result, photon-counting applications are now in reach with CMOS image sensor technology. In the first part, the talk will address the most important measures that have led to this noise reduction, such as CMOS scaling, improved readout circuits and low-noise CMOS transistor process technology. In most cases, the low-noise image sensors use a rolling shutter to control the exposure. Today, we also see a large interest in global shutter image sensors for a variety of consumer, automotive and industrial applications. In global shutter image sensors, all pixels acquire the image at the same time. The more complex global shutter pixel structure poses some challenges for noise reduction techniques, which will be discussed. Small global shutter pixels also enable fast detection of photons in CMOS technology, which can be used in a variety of applications such as fluorescence lifetime measurements and time-of-flight 3D imaging. The AACD workshops are a high-quality series of events held all over the world. They have been held annually since 1992 with the aim of bringing together a large group of people working at the forefront of analog circuit design. The workshops offer the opportunity to discuss new possibilities and future developments whilst networking with key figures from across the analog design community. Course on the understanding, design and future developments of active implantable biomedical microsystems, such as cochlear implants, cardiac pacemakers, spinal cord implants, neurostimulators and bioelectronic medicine. Video capsule endoscopy is now a well-established clinical tool with an increasing number of diagnostic applications in the gastrointestinal tract. However, for anything other than visual diagnosis, conventional endoscopy is still required. This talk will explain progress towards more advanced capsule endoscopy devices for both diagnosis and therapy including pre-clinical testing. The diagnostic technologies explored include ultrasound and fluorescence imaging as well as pressure measurement. Ultrasound-mediated targeted drug delivery is the technique chosen for therapy; the rationale will be explained and early results will be presented. Finally, a blueprint for future progress will be proposed, including the key electronics to be implemented in application-specific integrated circuits. Sandy Cochran holds BSc, MBA and PhD degrees. He is Professor of Ultrasound Materials and Systems with the School of Engineering, University of Glasgow, Glasgow, U.K., previously holding posts in Engineering, Physics, and Medicine at other Scottish universities. He is a co-author of more than 300 journal and conference papers, presentations, book chapters and patents. His research interests include devices and systems for ultrasound in medicine and life sciences, new piezoelectric materials and better utilization of existing materials, and microscale and miniature devices for new applications including microultrasound imaging. Prof. Cochran is VP Ultrasonics in the IEEE Ultrasonics, Ferroelectrics and Frequency Control Society and a Fellow of the U.K. Institute of Physics. One of the most important research topic done at MICAS is upon generic concepts for comfortable implants. Indeed human body has a strong tendency to reject foreign bodies. To create comfortable implants, the necessary steps are successively: selection of proper materials, manufacturing, in vivo testing (usually in rodents). The main problems with foreign material in the bloodstream are thrombosis and clogging. And finally the biggest challenge is properly packaging the sensors for invasion of the body. All this yields to the birth of a neologism: electroceuticals, i.e. treatment of diseases by electricity instead of drugs. One of the used methods would be electrical or optical stimulation. Of course the first thing to do is the study of the origin of the bio-potentials. Main focus is on novel materials, including polymers, and transducers, assembly in flexible and stretchable 3D interconnection matrices and packages, using biocompatible and/or bioresorbable carrier materials. Robert (Bob) Puers received his Ph.D. in 1986 at the KU Leuven. He is a European pioneer in the research on micromachining, MEMS and packaging techniques, mainly for biomedical implantable systems. To this purpose, he installed a dedicated clean room, that now runs for more than 30 years under his guidance. In 2014, he was appointed the chair of the Leuven Nanocenter (LENA), a new research facility that merges different multidisciplinary teams in an up to date facility for nano- and bio-research. He took major efforts to increase the impact of MEMS and Microsystems in both the international research community as well as in industry. He helped to launch three spin-off companies, ICSense, Zenso and MinDCet. Dr. Puers is also an IEEE and IoP fellow. The Dutch Ultra Low Power Conference brings together Belgian and Dutch professionals and companies involved in the development and application of devices with ultra low power technologies. It targets engineers, designers and technical managers in the advanced field of energy harvesting and ultra low power and energy-efficient designs. The keynote will be given by Wouter Serdijn, professor of bioelectronics at Delft University of Technology. Analog to digital converters (ADCs) are critical blocks in most signal processing chains. Especially in low bandwidth applications, there exists a need to digitize signals with high resolution and accuracy, while expending minimum energy. This thesis presents a dynamic zoom ADC for use in such applications. It takes advantage of a low power SAR ADC to maintain energy efficiency, while offering a high resolution with a ΔΣ Modulator. Fabricated in a 0.16-µm CMOS process, the prototype achieves state-of-the-art performance in a 1kHz bandwidth. Advances in healthcare technologies have mainly focused on therapeutics, interventional procedures, and “late-stage” diagnostics. These steps have undergone significant improvements, leading to higher survival rates and enhancements in quality of life. Nevertheless, current trends are unsustainable due to the inadequate outcomes on specific critical diseases and skyrocketing national healthcare costs. An important example is cancer, where mortality rates have not seen major improvements, even with the tremendous technological advances in diagnostic imaging tools over the last four decades. In this talk I will outline our efforts in better marrying technology and healthcare with new systems that 1) enable continuous “Nyquist” imaging and screening to enable preventive/predictive care, and 2) introduce smart implants for precision monitoring and closed-loop therapies. Preventive screening through continuous monitoring has the potential to fundamentally revamp our understanding of disease as well as targeted therapy. Today, the human body is monitored infrequently, perhaps on an annual basis and with a low “resolution”. This is in contrast with advanced electronic systems (many of which our community designs and ships), which are frequently monitored and calibrated. I will summarize a few example projects that aim to address these issues, including portable, semiconductor-based, “Tricorder” imaging systems, ultrasound-powered implantable devices that can measure, detect, and act upon local physiological changes through closed-loop neuromodulation or “electroceuticals”, and finally our new investigation of a noninvasive methods of neuromodulation based on ultrasonic excitation. Amin Arbabian received his Ph.D. degree in EECS from UC Berkeley in 2011 and in 2012 joined Stanford University, as an Assistant Professor of Electrical Engineering. His research interests are in mm-wave and high-frequency circuits and systems, imaging technologies, and ultra-low power sensors and implantable devices. Prof. Arbabian currently serves on the steering committee of RFIC, the technical program committees of RFIC and ESSCIRC, and as associate editor of the IEEE Solid-State Circuits Letters (SSC-L) and the IEEE Journal of Electromagnetics, RF and Microwaves in Medicine and Biology (J-ERM). He is the recipient or co-recipient of the 2016 Stanford University Tau Beta Pi Award for Excellence in Undergraduate Teaching, 2015 NSF CAREER award, 2014 DARPA Young Faculty Award (YFA) including the Director’s Fellowship in 2016, 2013 Hellman faculty scholarship, and best paper awards from several conferences including ISSCC (2010), VLSI Circuits (2014), RFIC symposium (2008 and 2011), ICUWB (2013), PIERS (2015), and the MTT-S BioWireless symposium (2016). Op 28 maart gaan drie hoogleraren, waaronder Wouter Serdijn, met elkaar in debat over 'de bionische mens'. Wat is er mogelijk en hoe ver kun, wil en mag je gaan? In drie korte minicolleges praten de heren u bij en worden ze vervolgens stevig aan de tand gevoeld door cabaretier, columnist en TU-docent Jasper van Kuijk. In de discussie die daarop volgt, wordt het publiek van harte uitgenodigd mee te doen. Deze editie van ‘Professoren in de Theaterarena’ wordt georganiseerd i.s.m. het ‘Explore your Brain’ evenement van de TU Delft Library in het kader van het 175 jarig bestaan van de TU Delft. In nauwe samenwerking met de TU Delft en de universiteiten van Leiden en Rotterdam zetten wij in een theatrale setting steeds drie spraakmakende hoogleraren op het podium rondom een actueel thema. Deze onderwerpen worden van verschillende kanten belicht, vanuit de harde wetenschap en/of maatschappelijke en ethische hoek. In een magazine-achtig format met korte colleges, stand-up colums wordt u bijgepraat en doet u mee in de discussie. On Wednesday March 15 the next Microelectronics colloquium wil take place, including four lectures by staff members. Please register online by completing the form. Abstract: Bioelectronic medicines are the next generation of neuromodulation devices: small active three-dimensional neural interfaces able to modulate nerve activity by targeting a specific neural region. They aim to treat a number of conditions, such as diabetes and asthma, in a tailored (per individual) and reversible fashion, avoiding the side effects of conventional drug-based interventions (pharmaceuticals). They achieve so by recording signals from the respective nerves, extracting information and using it as feedback to electrically stimulate the neural region in a closed-loop manner. Current technologies for active implants have not yet managed to achieve the miniaturisation and integration levels required for the development of bioelectronic medicines. For such breakthrough devices, novel concepts need to be explored, developed, and tested. In this talk I will present my current activities as well as my vision on realizing the first flexible three-dimensional graphene active implant, for safe chronic neural stimulation and recording from the peripheral nerves. Cryo-CMOS for Quantum Computing: does it work? Quantum computing holds the promise to change our lives by efficiently solving computing problems that are intractable today, such as simulation of quantum systems for synthesis of materials and drugs. A quantum computer comprises both a quantum processor and a classical electronic controller to operate and read out the quantum devices. The quantum processor must be cooled at cryogenic temperature in order to show quantum behavior, thus making it unfeasible to wire thousands of signals from the cryogenic quantum devices to a room-temperature controller. While this issue can be solved by placing also the electronic controller at cryogen¬ic temperature, which electronic technology is the best choice for its implementation? This talk will address the challenges of building such electronic controller, and answer whether a standard CMOS technology can be employed for the required analog and digital circuits operating at 4 K and below. Abstract: Several of today’s radar and wireless communication applications are shifting their operation to higher frequency to fulfil more demanding requirements on resolution, compactness and data rates. For this reason, there is a growing need to develop low-cost integrated circuit transceivers working at millimeter and sub-millimeter waves. However, on-chip antennas are currently characterized by very poor radiation efficiency and extremely narrow bandwidth. My approach of combining the concepts of connected arrays with artificial dielectrics will solve the inefficiency problem and enable high-efficiency on-chip antenna designs. Similar concepts can be also realized at microwave frequencies in printed circuit board, allowing for low-cost phased array antennas with state-of-the-art performance in terms of scan range, bandwidth and polarization purity. We present an overview of our current wave field imaging and inversion research. Effective inversion strategies for important applications in Magnetic Resonance Imaging (MRI), nano-optics, and subsurface monitoring will be discussed. In particular, dielectric shimming (shaping of the radio frequency field in MRI) as well as inversion algorithms that determine the dielectric properties of various tissue types based on measured MRI data will be considered, and state-of-the-art model-order reduction techniques for large-scale wave propagation problems will be discussed as well. Animal studies are commonly used to test the feasibility and effectiveness of promising novel neuroscience research ideas. One such new technique is optogenetic stimulation, which refers to stimulation of the brain by means of light. Current optogenetic stimulation methods use tethered setups and, typically, the animal-under-study is put into a fixed position. This introduces stress, an obvious reduction in animal welfare, and may thus influence the experimental results. Hence, an untethered setup is highly desirable. Therefore, in this thesis, we propose a complete wireless optogenetic stimulation setup, which allows for full freedom of movement for multiple rodents-under-study in a 40x40x20 cm environment. This thesis includes a thorough design space exploration and the subsequent development of: an inductive wireless link, a wireless receiver module that resides on the animal, and novel micro-LED array implants. With the bandwidth of the ECG signal extending from sub-Hz to 200 Hz, a major challenge in developing the analog front-end responsible for digitizing the analog signal for an ECG readout system lies in implementing the large time-constants on chip due to area constraints. While techniques to obtain very large time constants exist, they are heavily limited by both linearity and accuracy, which clearly dictates the need for alternative structures. In this thesis, a ΣΔ converter is used for its noise-shaping property to digitize the acquired signal. A structured electronic design methodology based on state-space forms is proposed to develop high-pass (HP) ΣΔ converter topologies. As opposed to conventional low-pass or band-pass ΣΔ, a generalized signal transfer function which includes the high-pass characteristic is used. The proposed HP ΣΔ topologies satisfy the signal transfer function, which is high-pass characteristic in this application and the noise transfer function, which is a 2-nd order noise shaping in this case. Furthermore, the noise contribution of each of the integrators is evaluated and the topologies are compared in terms of their total noise contribution. Finally, one of the structures is implemented in 0.18 um technology as a final step of verification. Every year number of prematurely born infants grows. Most underdeveloped organ after birth is brain. Therefore its monitoring is very important, especially as it can provide indications about health state in a future, both short and long term. Non invasive method of brain monitoring is aEEG recording. Although aEEG is already well known and accepted in neonatology, it is still not used to monitor every patient. Problem is high price of a device starting from 30000 euro. In a result, hospital is not able to provide proper monitoring for each and every patient. For this reason, main task of this thesis is to propose cheaper version of a system. In order to propose cheap design, minimal requirements have to be specified. Two tests were performed. First one was to identify interferences disturbing aEEG recording. Only registered interference was 50Hz spike coming from the mains. Noise floor peak to peak amplitude was measured on 1μV level, while magnitude of 50Hz spike was on the level of 9μV for devices turned off and 25μV for devices turned on. Second performed test was resolution test. Test showed that in order to keep the number of bits low, amplification of the signal is required. Amplification by factor of 1000 allowed to reduced this value to 7bits. Proposed system consists of amplifying stage realising 60dB gain with high pass cut off filtration and ADC. Amplifying stage is realised by amplifier providing 35dB gain with filtration below 2Hz and second amplifier realising 25dB gain. ADC is implemented by continuous time second order Sigma Delta Modulator. Proposed system was designed in CMOS 0.18μ and h18a6am technology. Tests of full system showed SNR no lower than 51dB, power consumption of 217.5μV. Input stage has CMRR of 113dB and input impedance above 2.25GΩ for the bandwidth 2-15Hz. System reliability was checked with corner analysis and wide range of temperatures. Results showed small variations of SNR. This thesis presents a low-power low-noise instrumentation amplifier designed to be implemented in 40 nm CMOS technology and operating from a 0.6 V supply, intended for use in electrocardiogram (ECG) and bio-impedance (BioZ) signal acquisition. This instrumentation amplifier has one ECG channel, one BioZ channel and allows both signals to be measured at the same time. The core of the system is an AC-coupled instrumentation amplifier. A DC servo-loop is applied to handle large differential electrode offset (>300 mV) and a positive feedback loop is used to boost the input impedance (>100 MOhms). This instrumentation amplifier achieves low noise (<1 uVrms over a bandwidth of 150 Hz), large CMRR (>100 dB) while only consuming 1 uW of power. The instrumentation amplifier has a noise efficiency factor (NEF) of 2.4 and it occupies only 0.1 mm^2 chip area. In order to allow neuroscientists to do in-vivo recordings on hard to reach brain tissue, such as the Inferior Olivary Complex, specially designed electrodes are required. Although a variety of electrodes are commercially available, they are usually expensive and it is hard to rapid prototype new designs. This thesis describes the design process of three electrode array designs, each improved based on the findings of the previous one. The first design was made using a FlexPCB production technique, on which gold spots were added to create conducting measuring sites. The second design combined this technique with commercial microwire electrodes. The third design used 3d-print technology combined with microwire electrodes to create an electrode array. All designs were tested in in vivo measurements on mice. Although successful measurements were done, the robustness and reproducibility needs to improve in order for this technique to really be applicable in a laboratory environment. Furthermore, the peripherals need to be improved in order to minimize the system to create a wearable system and perform recordings on wake animals. For energy management in wireless sensor networks, only the sensors with most informative measurements are activated to operate. How to select sensors that make good tradeoff between performance and energy consumption is what many researchers are focusing on. Existing solutions assume analog data model, i.e., the data from sensors collected by a center node, called fusion center, are analog measurements. In practical application, due to limitations of energy of sensors and bandwidth of wireless channel, original measurements are usually compressed before being transmitted to the fusion center. In addition, transmitted signals are usually distorted by wireless channel effects, therefore it is possible that the received data are corrupted with errors. In this thesis, we consider two compressive techniques: one-bit quantization and multi-bit quantization. In one-bit quantization, an indicator message is generated in a sensor according to whether the original measurement is larger than a threshold or not. In multi-bit quantization, the original measurements are quantized to multiple bits and only the most significant bits are reserved. The indicators or the most significant bits are then transmitted through realistic wireless channel to the fusion center for it to process. By these ways, the transmitted signals are digital, and they may flip into opposite values by the effects of wireless channels. For one-bit quantization case, we develop a sensor selection approach, based on convex programming. For multi-bit quantization, we extend the sensor selection to bit allocation and propose a novel algorithm to determine the number of bits to transmit for each sensors, which is also based on convex programming. In both cases we consider the effects of wireless channels, which are characterized as bit error rate. Particularly, for the multi-bit quantization, numerical results show that the bit allocation can further reduce the cost that we defined compared with existing solutions where transmitted data are assumed to be analog. This thesis presents a digital baseband design for an upcoming wireless standards: IEEE 802.11ah. It is a branch of Wi-Fi (IEEE 802.11) standards. Compared with the previous Wi-Fi standards, this new standard has larger coverage range and consumes less energy. It is particularly suited for energy-constrained sensor applications.� In contrast to the Digital Baseband (DBB)s of other Wi-Fi standards, this design consumes much less power. The basic modulation method of the system is Orthogonal Frequency Division Multiplexing (OFDM) and the detailed algorithms are explored. To prove the robustness of the system, some error tests for the system are performed. A gate-level hardware design and the synthesis netlist are also presented to prove the low-power design. Based on the synthesis results, a series of optimization is done to lower the power consumption.� The DBB has been implemented in 40nm Low-power CMOS process to prove the concept.� It includes the key blocks of this system. Measurement results show that the DBB for IEEE 802.11ah is suitable for low power applications. The power consumption of this DBB is around 200 - 400 uW, which is hundreds times less than that of the traditional 802.11 baseband. Neural stimulation is an established treatment methodology for an increasing number of diseases. Electrical Stimulation injects a stimulation signal through electrodes that are implanted in the target area of the central or peripheral nervous system in order to evoke a specific neuronal response that suppresses or treats pathological activity. This thesis discusses the design of neural stimulators: the device that is responsible for generating the stimulation signal in a safe, efficient and controlled manner. The design of such a device requires a highly multidisciplinary approach which involves disciplines such as neuroscience, electrophysiology, electrochemistry and electrical engineering. The first part of this thesis focuses on the processes associated with the neuronal recruitment. After describing the stimulation processes in detail at various levels, the discussion zooms in on the processes at the electrode-tissue interface and in particular the electrochemical behavior. Many neural stimulators include coupling capacitors between the stimulator and the electrodes to reduce the risk of potentially harmful electrochemical reactions. However, it is shown that coupling capacitors also have negative implications that need to be considered, such as a shift in the equilibrium potential of the electrode-tissue interface. Also, the reversibility of charge transfer processes at the electrode-tissue interface is analyzed. Most studies rely on monitoring the electrodetissue interface potential to determine the maximum reversible charge injection limits. By measuring the reversible charge in a more direct way, it was found that irreversible charge transfer processes already play a role for stimulation intensities that are well below the established charge injection limits. The extensive description of the stimulation process is furthermore used to introduce a fundamentally different stimulation paradigm. Instead of using a constant current or voltage to stimulate the electrodes, a high frequency, switched-mode stimulation signal is applied. The advantage of such a stimulation pattern is that it can be generated in a power efficient way by the neurostimulator circuit using switched-mode operation that is common in energy efficient amplifiers (class-D operation) or power management circuits. The efficacy of the proposed stimulation pattern is verified both using modeling as well as using in vitro measurements by analyzing the response of patch-clamped Purkinje cells. The second part of the thesis focuses on the electrical design of neural stimulators. The first system is designed to be used in a specific neuroscientific experiment and features arbitrary waveform stimulation. The user has full flexibility over the choice of stimulation waveform, while the stimulator circuit guarantees safety by ensuring charge balanced operation. The stimulator circuit is realized and included in a system implementation that is suitable for the in vivo experimental setup. The stimulation pulse (which uses a burst pattern) is synchronized with auditory stimulation in an attempt to recondition the neural pathways in a mouse that suffers from tinnitus. The second design implements the high-frequency switched-mode stimulation pattern that was introduced in the first part of the thesis. The system features an unfiltered forward buck-boost converter at its core to directly stimulate the target tissue. It is possible to operate the system with multiple independent channels that connect to an arbitrary electrode configuration, making the system well suited for current steering techniques. Furthermore, comprehensive control was implemented using a dual clock configuration that allows both autonomic tonic stimulation, as well as single shot stimulation. Each channel can be configured individually with tailored stimulation parameters and multiple channels can operate in a synchronized fashion. The system is power efficient, especially when compared with state-of-the-art constant current stimulators with an adaptive power supply that operate in multichannel mode. Efficiency improvements up to 200% compared with state of the art constant current stimulators are demonstrated. Furthermore, the number of external components required is reduced to a single inductor. The 21st century will be the century of unravelling the intricacies of the brain and in which we will explore the use of electricy to interact with our electro-chemical mainframe better. In this talk I will explain how electroceuticals, the electronic counterparts of pharmaceuticals, can help to successfully treat neurological disorders. Further, I will sketch a technological avenue of their future development by making electroceuticals smaller, more energy efficient and more intelligent. There have been many architectures for quantum computer and quantum information devices proposed, yet we face a gap between these proof-of-principle idea and feasible quantum devices. We focus on an integrated cavity device based on a single diamond NV center to identify the problems and obstacles by integrating necessary elements to perform computational tasks. In this presentation I will discuss the static and dynamic responses of mechanical springs that are used in electrostatic actuators. With respect to quasi-static applications, I will show how nonlinear mechanical springs can be used to counteract the nonlinear electrostatic attraction forces in gap-closing actuators. Instead of the pull-in instability, we may achieve an extended stable range with a linear voltage-displacement relation. Alternatively, beyond what would have been the pull-in point, we may achieve a constant voltage for any displacement. This effectively turns the transducer into a rechargeable mechanical battery, which is a neat design though mostly impractical. With respect to dynamic applications, I will show why the standard folded beam suspension, which is supposed to be linear by design, induces a nonlinear response in electrostatic comb-drive resonators. I will present a new suspension design which solves this problem. HIGH performance Analog-to-DigitalConverters (ADCs) are highly demanded by modern instrumentation, data acquisition and wire-line/wireless communication systems. However, the need for high speed is always accompanied by high power consumption and large area since amplifiers with large bandwidth and analog devices with low noise and high linearity are mandatory to fulfill the stringent requirements of high speed operation. Benefits of technology scaling and the flexibility of digital circuits raise the design challenges towards high gain, low noise and high linearity amplifiers, increasing the difficulty of implementing various ADC architectures with traditional analog techniques. New applications that constantly demand better performance in terms of speed and accuracy, have created a need for energy-efficient ADCs in the GHz sampling frequency and low-to-moderate effective resolution range. The dominantly digital nature of Successive Approximation Register (SAR) ADCs makes them a good candidate for an energy-efficient and scalable design, overcoming the aforementioned challenges, but its sequential operation limits its applicability in the GHz sampling range. It is of great interest to systematically study and understand the trade-offs in realizing such multi-GS/s, low power ADCs. This thesis work analyzes the trade-offs in realizing SAR ADCs in the GHz range in terms of speed, accuracy, power and area. First, basic ADC principles such as quantization and sampling are discussed and performance metrics are introduced. Then, the theory is summarized and the advantages and disadvantages of various types of ADC architectures for high speed operation are pointed out, while analysis and evaluation of system and circuit level techniques, in order to overcome the speed limitation of SAR ADCs, and extend their operation in the GHz sampling frequency with affordable power and area trade-offs follow. Based on the aforementioned analysis, a novel architecture is proposed to break the speed limit due to sequential operation, and realize an 8-bit single channel 2 GS/s SAR ADC. The proposed architecture combines optimally the multibit/ cycle approach with interleaving comparators. Furthermore, other techniques such as separating the sample and DAC functions, a segmentation switching capacitive DAC with sub-fF unit capacitors and a very lowpower reference generator contribute in speed enhancement and power reduction. The effectiveness and performance of the proposed architecture and techniques is verified through both behavioral modeling (MATLAB, Verilog-A) and transistor level circuit simulations. The sub-blocks composing the ADC such as comparators, DACs, T/H, reference buffers, preamplifiers, biasing blocks, clock drivers are designed in 40 nm digital LP CMOS process and simulation results both for individual blocks as well as for the whole ADC are presented. Simulation results indicate a sample rate of 2 GS/s with an SNDR of 41.8 dB at Nyquist input frequency (1 GHz) and above 35 dB until 10 GHz input frequency, while consuming a total power of 17.2mWat 1.2 V supply. Analog-to-digital converters have traditionally been a weak link in mixed-mode signal chains. As such, logarithmic and programmable-gain amplifiers have been used to effectively increase their overall dynamic range. In recent years, however, ADC performance has dramatically improved, making it difficult to design amplifiers and references capable of matching their performance. This talk will discuss the challenges of designing a circuit capable of driving a 20-bit SAR ADC with better than 1-part-per-million accuracy. Jesper Steensgaard, obtained his MSEE and then his PhD from the Technical University of Denmark in 1999. He has 20+ years of experience in the design of high-resolution data converters. His early work focused on delta-sigma data converters, including mismatch-shaping binary-weighted-element DACs and continuous-time delta-sigma ADCs. Recently, Jesper developed a family of high-resolution low-power SAR ADCs, including the LTC2378-20, which combine the best features of delta-sigma ADCs (precision, low noise) and SAR ADCs (speed, low power, ease of use). The recently suggested probabilistic design for reliability (PDfR) concept is based on:�1) highly focused and highly cost-effective failure oriented accelerated testing (FOAT),��aimed at understanding the physics of the anticipated failures and at quantifying, on the probabilistic basis, the outcome of FOATs conducted for the most vulnerable element(s) of the product of interest and the most likely and meaningful combination of possible stressors (the principle of superposition does not work in reliability engineering), and� 2) simple and physically meaningful predictive modeling (PM), both analytical and computer-aided, aimed at bridging the gap between what one "sees" as a result of FOAT and what he/she will supposedly "get" in the field. FOAT and PM based sensitivity analysis (SA) algorithms are developed as by-products. The PDfR concept is based on the recognition of the fact that nobody and nothing is perfect, and that the difference between a highly reliable and insufficiently reliable product is �merely� in the level of its probability of failure. If this probability (evaluated for the anticipated loading conditions and the given time in operation) is not acceptable, then such a SA can be effectively employed to determine what could be possibly changed, in terms of materials, geometries, application restrictions, etc., to improve the situation. The PDfR analysis enables one also to check if the product is not "over-engineered", i.e., is not superfluously robust: if it is, it might be too costly: although the operational reliability cannot be low, it does not have to be higher than necessary either, but has to be adequate for the given product and application. This means that when both reliability and cost-effectiveness are imperative, ability to quantify reliability is a must. In this seminar the major PDfR concepts will be illustrated by case studies and practical examples. Although some advanced and subtle PDfR predictive modeling techniques have been recently developed for quantifying and assuring reliability of electronic and photonic products, especially those intended for aerospace applications, the practical examples addressed employ more or less elementary analytical models. Prof. Dr. E. Suhir is Fellow of ASME, IEEE, American Physical Society (APS), Institute of Physics (UK), Society of Optical Engineers (SPIE), International Microelectronics and Packaging Society (IMAPS), Society of Plastics Engineers (SPE), Foreign Full Member (Academician) of the NAE, Ukraine, and Fulbright Scholar in Information Technologies. He has authored above 300 publications (patents, books, book chapters, papers) and received numerous professional awards, including 2004 ASME Worcester Read Warner Medal for outstanding contributions to the permanent literature of engineering and laying a foundation of a new discipline �Structural Analysis in Electronics and Photonics Systems�. Dr. Suhir is the third Russian American, after Steven Timoshenko and Igor Sikorsky, who received this prestigious award. Dr. Suhir is co-founder of the ASME Journal of Electronic Packaging and served as its Technical Editor for eight years (1994-2002). Three-dimensional (3D) range detectors enabling 3D computer vision is now popular in automotive industry. With their participation, automobile safety has been further enhanced, autonomous driving has become realizable. Time-correlated single-photon counting (TCSPC) technique utilizing complementary metal-oxide semiconductor (CMOS) single photon detectors (SPDs) and time-to-digital converters (TDCs) embodies the proper participant of automotive 3D vision, with low power consumption, low cost, high speed, high robustness, small size, and portability. In this thesis, a TCSPC 3D range detector for automotive application was studied and modeled. The model covered all main components of a TCSPC system, including the TCSPC range detection process, the signal, and the noise. It was designed to predict the behavior of TCSPC systems and help future designers optimize the performance in accordance with the targeted application. To verify the model, a experimental setup was designed, implemented, and characterized. The setup consists of a data acquisition system, data processing procedures, and an optical-mechanical system. Measurements performed using the setup have confirmed that the model was designed correctly. For further exploration, range detection from 0.2 m to 60 m were carried out. This thesis discusses the potential of CMOS based SiPMs, especially for TOF PET applications, in a systematic and comprehensive fashion. CMOS based SPADs are still need to be designed carefully to improve fill factor, TDCs be improved from the point of the area and power consumption, and the necessity of high voltage for SPADs be handled efficiently. Thus, this thesis also aims to design and integrate various circuits in the SiPM to realize the high integrations utilizing the biggest advantage of the CMOS technology. On behalf of the Organising Committee we welcome you to Melbourne, ranked by the Economist Intelligence Unit in 2011, 2012 and 2013 as the most liveable City in the world, to Australia, and to the 2014 IEEE International Symposium on Circuits and Systems. ISCAS�2014 is sponsored by the Institute of Electrical and Electronic Engineers Circuits and Systems Society (IEEE CASS), and generously supported by the State Government of Victoria and the Melbourne Convention Bureau. As you all know, ISCAS is the flagship annual conference of IEEE CASS, and it is well established as the world�s premier networking forum in the fields of theory, design and implementation of circuits and systems. As a result of the release of its 2012 Vision and Mission (see ieee-cas.org), the CASS goal is to develop ISCAS also as the leading forum for pioneering circuits and systems contributions to humanity�s grand challenges. Accordingly, the special theme of ISCAS 2014 is nano/bio circuits and systems applied to enhancing living and lifestyles, particularly in relation to the multidisciplinary grand challenges in healthcare and wellbeing, the environment and climate change. Dr Donald E. Ingber from Harvard University on Monday will present Microengineered Human Organs On Chips, describing advances he and his team have made in the engineering of microfluidic �Organs-on-Chips��microchips lined by living human cells created with microfabrication techniques that recapitulate organ-level structure and functions as a way to replace animal testing for drug development and mechanistic discovery. Professor Iven Mareels from The University of Melbourne in his talk on Wednesday, titled Circuits and Systems for Modern Irrigation Management, describes work over 15 years on circuits and systems research, development and commercialisation of an internet-of-things dedicated to smart irrigation water management. Professor Victor Zhirnov from the Semiconductor Research Corporation, in Scaling Limits of Nanoionic Devices, elaborates how recognition that crystal �defects� could be used as controllable entities, rather than being seen as imperfections, leads to the possibility that nanoionic resistive switching devices may be scalable down to ~ 1nm and thus may offer a promising path to replace the foundation of today�s computing technologies. Dr. Stephan C. Stilkerich from Airbus Group will present Model Based Engineering of Highly Mobile Systems of Systems: Safe Aeroplanes; Safer Automobiles, with an introduction and post-talk discussion moderated by Dr Graham Hellestrand from Embedded Systems Technology. This keynote deals with front-line approaches to engineering electronic systems and their software, that are required to perform real-time control critical for the safe operation of airplanes and cars, including while operating in dense traffic and simultaneously reducing environmental impact. The technical program consists of tutorials, lecture papers, poster papers and demonstrations accepted based on peer review of the submission from regular open calls. We have retained many of the ISCAS features that have evolved in recent years, and added new features, some in response to ISCAS feedback, to continue to improve attendees� experience of the event. We are very pleased to report that ISCAS�2014 will be first time that the new CASS Conference App will be made available to all attendees, and we look forward to your feedback to improve it. The CAS Society has supported the development of the Conference App, through Conference4Me, to facilitate the navigation of the conference agenda and venues, secure access to proceedings, micro-blogging, live discussion and ranking of papers, providing feedback to organizers and general improvement of attendees� experience at CAS conferences. Lecture papers follow the traditional ISCAS format. There are nine lecture sessions over three days, with session having 11 parallel streams. Sessions are 90 minutes with up to five papers, allowing 18 minute for each including introduction, presentation and discussion. The Demonstration session and Poster sessions are held over 3 hours commencing at the 3pm coffee break on Monday, Tuesday and Wednesday. The Demonstration session is Monday only. There are no competing parallel lecture sessions during the first 90 minutes of each day�s Posters/Demonstrations, allowing increased attention to them from all attendees. We have increased the length of the lunch break to 90 minutes. This will allow more time for the CASS side meetings, particularly the annual meetings of the 15 CASS Technical Committees, which are playing an increasingly important role in leadership of the Society. The longer break will also provide a more relaxed walk to the nearby restaurants for the lunch break, and we hope it will facilitate a greater level of networking. Following the ISCAS�2013 lead we continue the trial of offering free attendance at Tutorial and CAS-FEST sessions for all ISCAS�2014 registrants. We have also expanded both the tutorial program and CAS-FEST. CASS� goals in these moves are both to widen the reach of and to increase participation in the tutorial program and CAS-FEST. We will greatly appreciate feedback from attendees on the value you perceive in these offerings. ISCAS�2014 commences on Sunday with 19 half-day and 1 full-day Tutorial sessions. T19 � Interfacing Organisations: How to successfully manage organizational interfaces by Felix Lustenberger; and T20 - Managing Technology Professionals by Tuna B. Tarim: Transitioning from Individual Contributor to Management. Felix and Tuna are CASS members and also leaders of IEEE�s Technology Management Council, which was recently approved to transition to an IEEE Society. T7 � Engineering Networks that Work: Design Tools for Your Career by Dr Margaret Collins Margaret is a Cardiff-based research consultant, professional coach and trainer with extensive experience in helping people achieve their career goals. Come ready to get involved � this is an active workshop session! T21 � If it�s Pinched it�s a memristor (AM), Professor Leon Chua T22 � ReRAM Memristive Devices: Electrochemical Systems at the Atomic Scale (AM), Dr Ilia Valov T23 � Analog and Mixed-Signal Applications of Memristive Devices (PM), Professor Dmitri Strukov T24 Integrating memristive devices in CMOS neuromorphic computing architectures (PM), Professor Giacomo Indiveri The aim of these sessions is to provide sufficient introduction to enable a typical ISCAS attendee to appreciate the state of the art material that will be presented in the CAS-FEST sessions. Since its inception in 2010, the Circuits and Systems � Forum on Emerging and Selected Topics has progressively become more closely integrated with ISCAS. This year�s topic was again selected from an open call and the winning proposal, from members of the Nonlinear Circuits and Systems (NCAS) Technical Committee, has taken still further this level of integration with ISCAS. This includes the presentation of invited introductory tutorials in the regular ISCAS Tutorials program (see above), the inclusion of three Special Sessions in the regular ISCAS Lecture Papers program, a full day of CAS-FEST Special Sessions on Wednesday, and the highlight full day of CAS-FEST Keynote talks on Thursday. With this additional integration, CAS-FEST 2014 will bring together leading experts and provide a thorough coverage of the field of memristors, from an introduction to those unfamiliar with the field, through solidifying existing knowledge, to highlighting developments at the forefront of the field, and pointing to future challenges and promising directions for research. We hope that this coordinated approach will result in a landmark event in the development of the field. We are planning the now standard set of ISCAS evening events, with the Welcome Reception on Sunday evening soon after the conclusion of Tutorials, the WiCAS/YPP (formerly GoLD) event on early Monday evening, the Awards Dinner on Tuesday evening, and the Closing Reception immediately following the last session on Wednesday. Watch out for the Australian twists! We hope that you will have a rewarding and enjoyable time in Melbourne at ISCAS�2014 and look forward to meeting as many of you as we can!